Gorgeous red dress with pink and white accents. 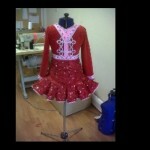 Red velour bolero and sleeves with a sparkly red self embossed fabric for the bodice and skirt. Pink trim around the bolero and end of the skirt with white embroidery. Similar detail on the cuffs. 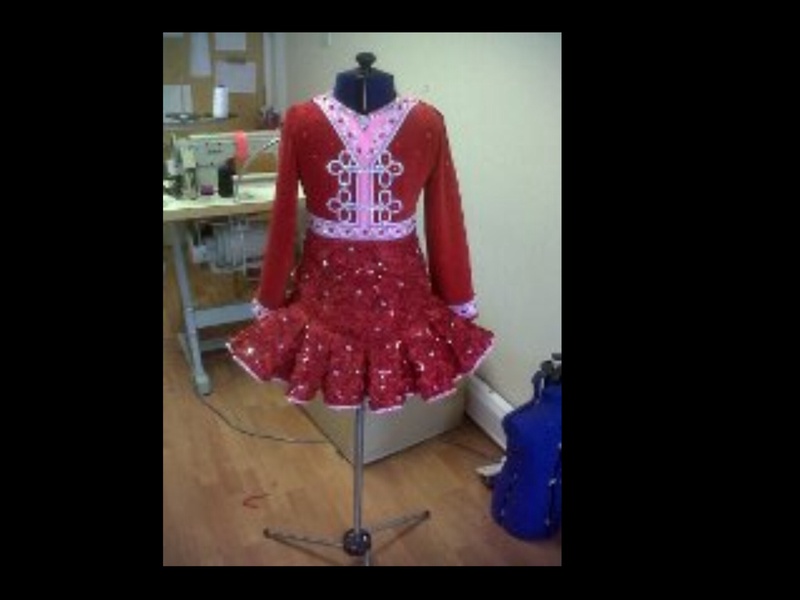 Dress covered in red and clear diamantés. Comes with choice of 2 capes. 1. A pink shiny larger one with diamantés to add more colour to the dress. 2. 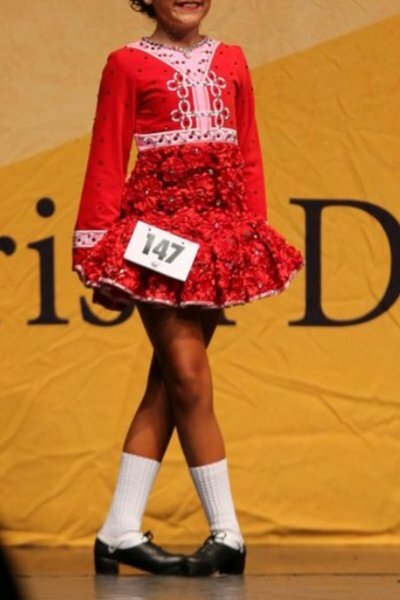 A smaller red circular cape with White Celtic design. Kick pants included. Dress is 1 year old and my daughter is very sad to see it go. Please email me for more photos – I have plenty! Asking Price: $800 AUD. Shipping costs are not included in the asking price. Sale is final.